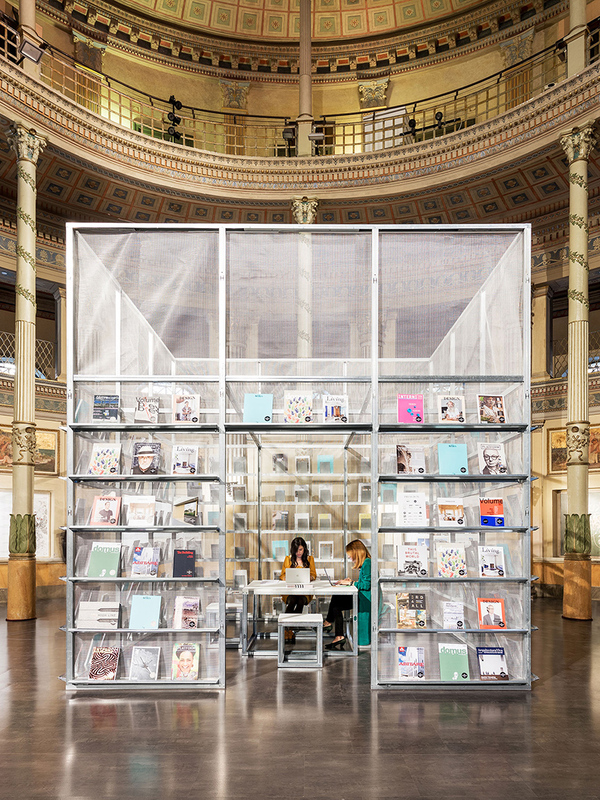 SET architects has created a temporary installation titled ‘press box’ consisting of a pavilion for reading architectural publications. 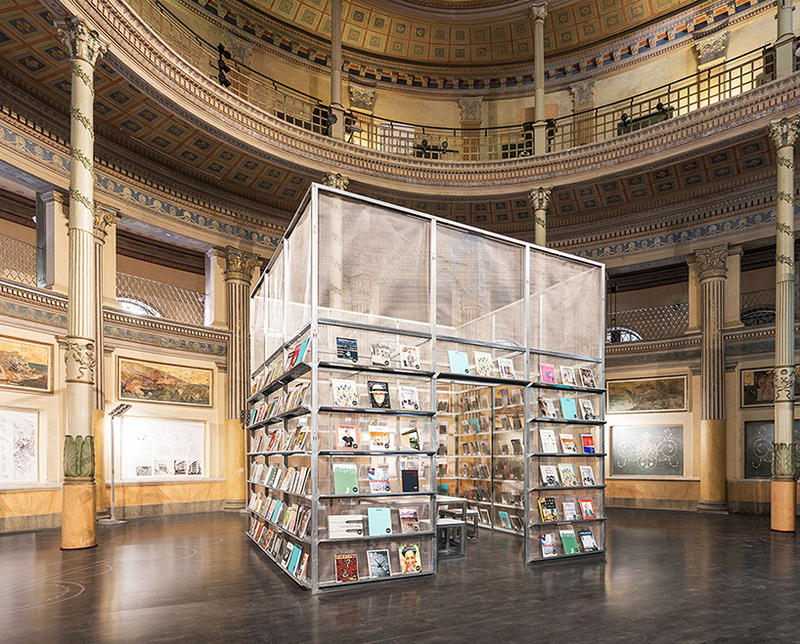 the pop-up newsstand is located in the eighteenth-century frame of the acquario romano – casa dell’architettura in rome. 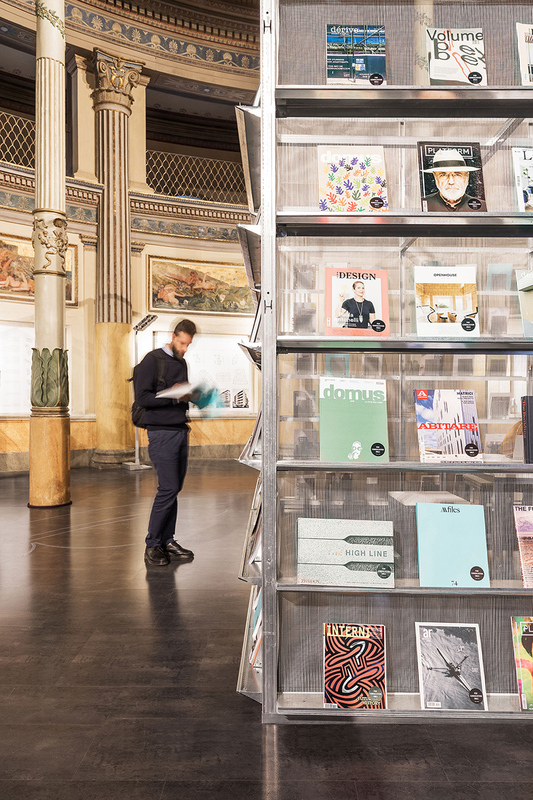 the archetype of the street newsstand is translated into a lightweight rectangular structure, which embodies the concept of networking. 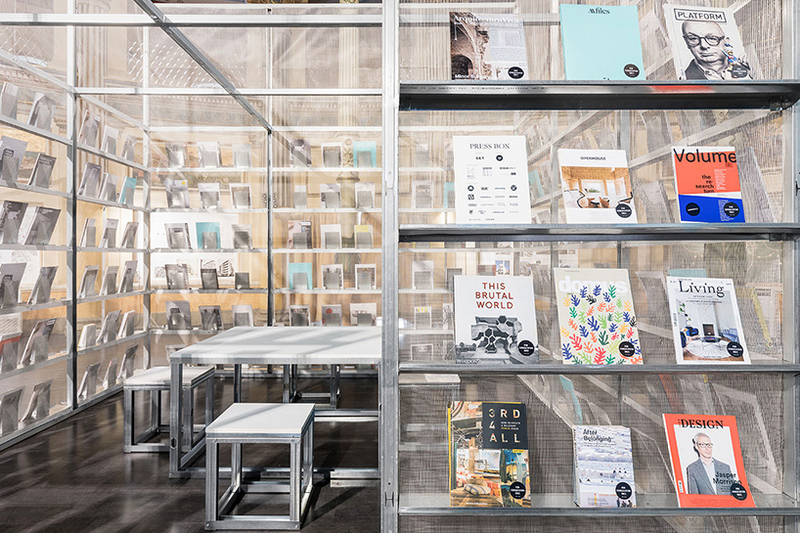 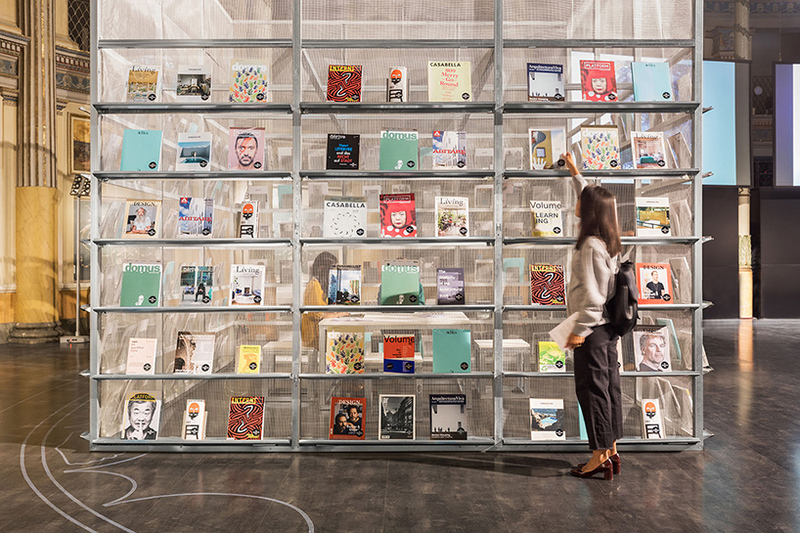 a selection of international publications curated by mint LIST will be presented inside the structure, opening at the new generations festival from september 24th to 26th, 2017. versatile and flexible, the 4 x 4 x 4 meter modular structure has been designed by SET architects for assembly in under four hours thanks to its quick mounting system. 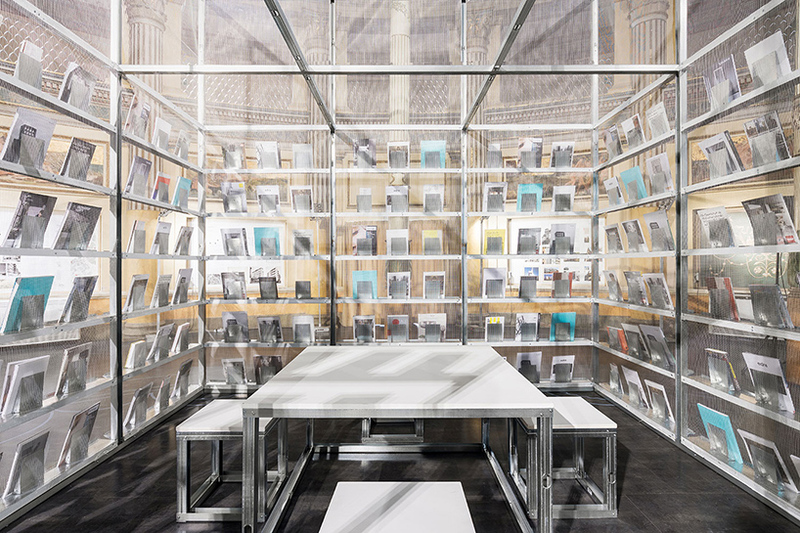 the elements are made of affordable building materials: the main framework and furnishing is made in plasterboard and stainless steel, while the shelves and magazine supports are shaped from stainless steel. 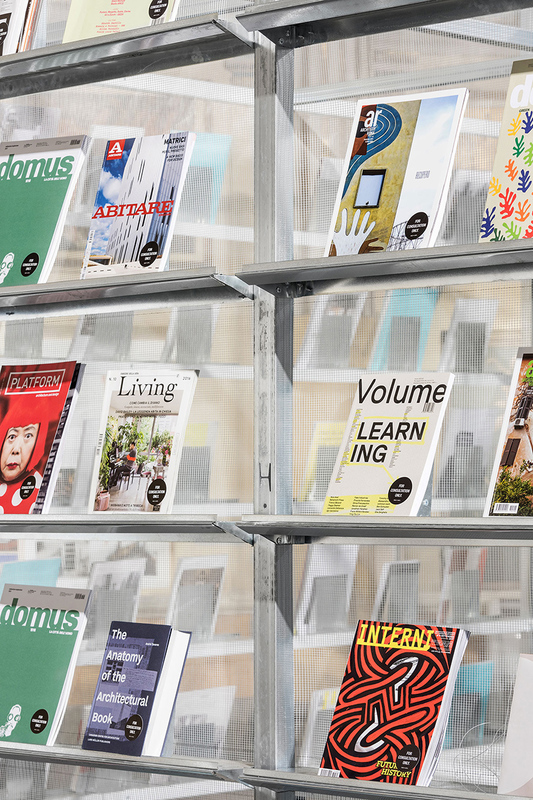 magazines and books are placed at the public’s fingertips, bringing consistency to the framework. 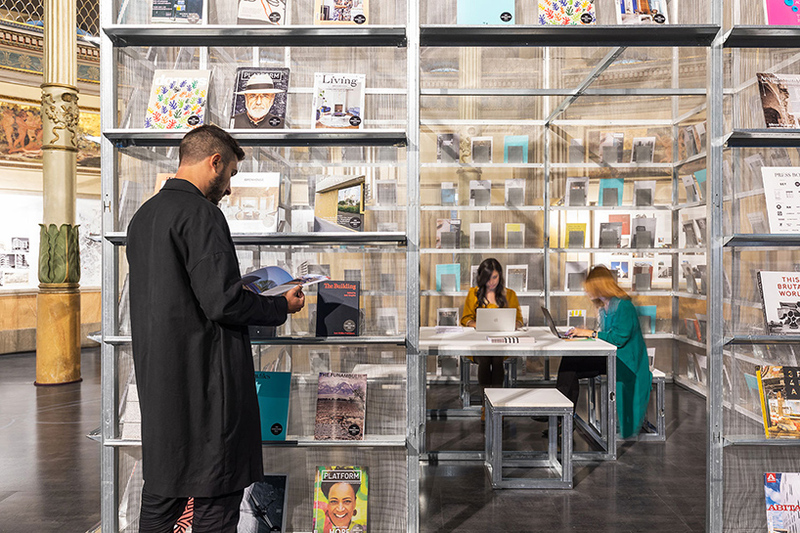 displayed at the perimeter, publications play a crucial role in the composition, defining the elevations of press box and creating real ‘paper walls’. 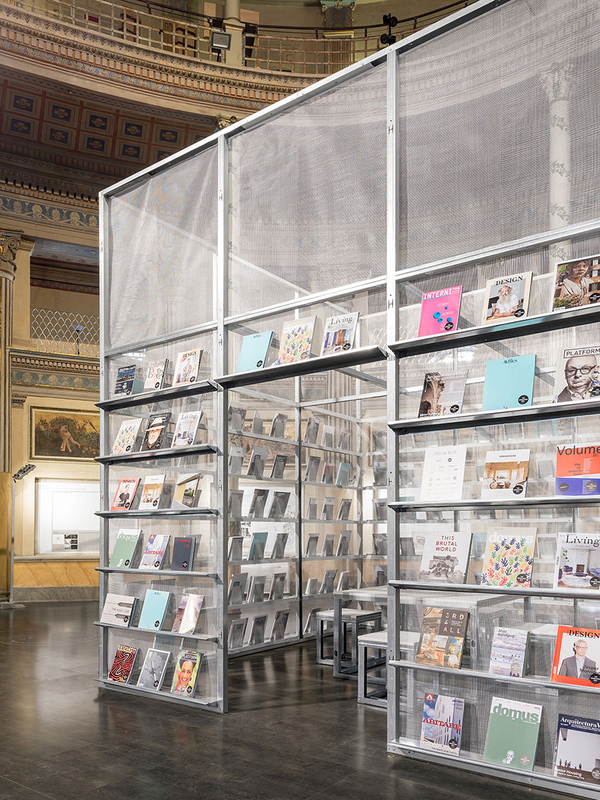 white liner mesh wraps around the entire box to complete the installation with a veil that adds transparency to the installation.